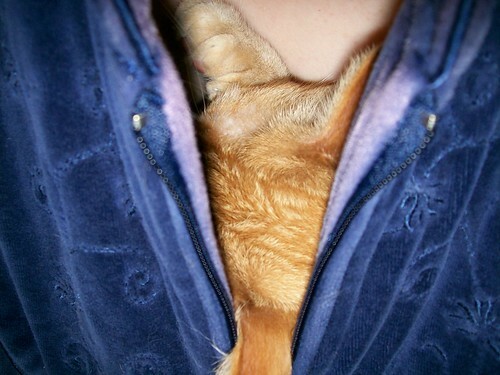 I’ve mentioned Buttercup’s fondness for napping in my clothing – while I’m still wearing it. This morning she insisted on sleeping in my robe while I played worked on the computer. That is so sweet! 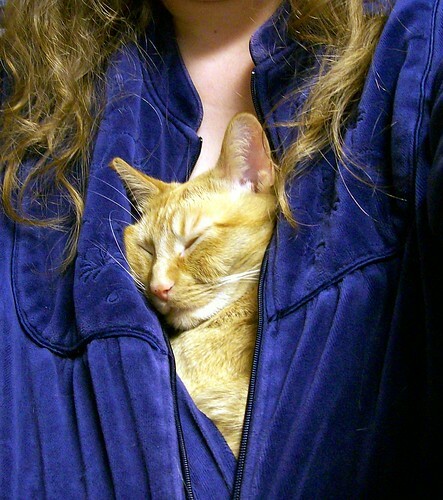 I’ve never seen a cat do that, but it looks cozy.